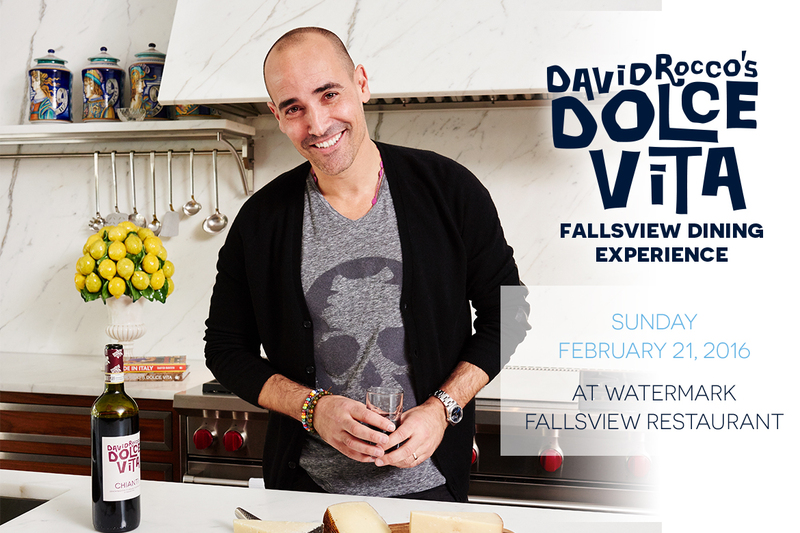 Celebrity chef and host of David Rocco’s Dolce Vita joins us in The Watermark for an unforgettable Fallsview dining experience. Meet and mingle with David Rocco during a Prosecco reception then indulge in an authentic Italian three-course meal. Savour David’s hand-selected wine pairings from his very own Dolce Vita wine collection. Enjoy the view of the Falls with a one hour reception featuring Prosecco and hors d’oeuvres. Starting at $175 per person (based on double-occupancy).